Are you a “polyester snob”? Do you avoid any fabric that has the slightest amount of polyester in its content? I won’t say it is environmentally friendly, but if you consider it requires little if any power usage for drying and ironing, and garments made from it have a longer life therefore less manufacturing/shipping processes are required per wear, it could be a lot better than we think. Just think of all those 70’s polyester shirts in the op-shops that haven’t worn out yet! Wool/polyester – cheaper and harder wearing than 100% wool, but not as warm or easy to tailor. Polyester/cotton – compared to 100% cotton this fabric will shrink less, be more wrinkle proof, faster drying and longer lasting, but not as comfortable next to the skin. This is why it is commonly used for such items as trousers, travel wear, and things like Dickie’s workshirts! Polyester/viscose – polyester adds crease resistance to this blend, and viscose allows the fabric to breathe better for more comfortable wear. So it really is a practical fibre – its wash ‘n wear qualities are very popular. In today’s world where natural fibres are considered superior by many, polyester often gets the thumbs-down – but as you can see from the big list above – it does have it’s place. However I still haven’t forgiven it for being so uncooperative while making my Red Spot Dress! What do you think – do you use polyester in your sewing regularly, or only when nothing else will do? Do you have some favourite wardrobe items with polyester content, or do you avoid it like the plague? I have a little poly in my stash, but most of it is in blends with natural fibres, and in those cases the natural fibre is usually at least 70%. I prefer poly for lining over acetate though, it's more comfy in skirt and jacket linings. I've got some though that I'm looking at wondering what in the heck was I thinking! I really do prefer natural fibres, wool in particular. I use a lot of thrifted bedsheets in my sewing, so most of my dresses are poly-cotton blends. It is a little harder to press, but definitely wrinkles less, which is a huge plus in my book. Also, it probably doesn't hurt that I've always lived on the California coast, where it's pretty temperate and almost never humid. It works for me, but I can definitely see how its non-breathable properties would be a turn-off, depending on the climate where you live! I'm with Michelle, above. Brissie + polyester = soggy clothing!!! Today was 30° – same yesterday, same tomorrow. Cotton wins hands down. I have gotten rashes from some dies used with polyester so I was a “poly snob” for a long time. But after figuring out how to get rid a hand on the allergy I have used fabrics with poly-content. If you consider the amount of chemicals and most of all water that are used for cotton poly fabrics probably aren't that much worse. 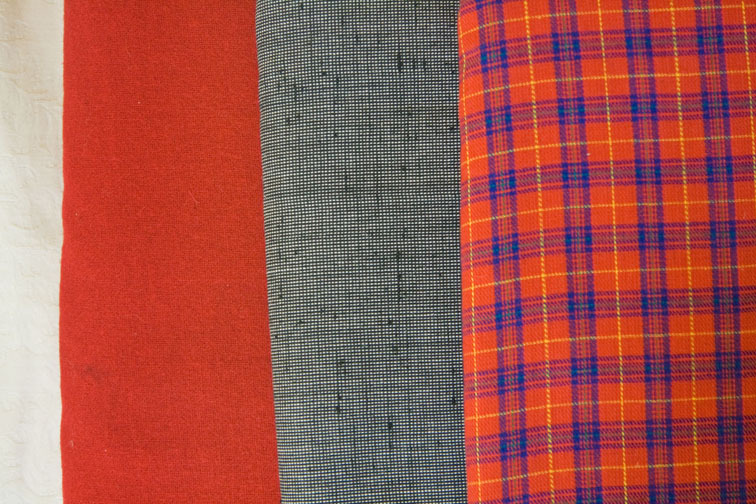 What I really like are fabrics where the weft is poly and the warft is natural or vica verca. This is especially helpful when I DO NOT want any fabric contortions in one direction. As with all fabrics, I believe, it's quality that counts. There are some very nice polyester fabrics out there, but they are not cheap. 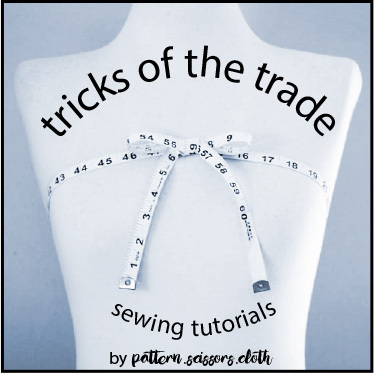 There are “cheap” natural fibre fabrics that are not worth the effort of sewing also. Generally, I prefer natural fibres, but in reality, if a fabric feels good in the hand, it's ok by me. Although I'm a bit of a fibre snob myself, my budget and thrift-store tendencies mean that I end up with a fair bit of synthetic fibres. Sometimes I hate this—the coat I made for your tailoring sewalong last spring, which is one of my favourites and my go-to warm/transitional jacket, is pilling like crazy due to the poly/mystery fibre nature of the fabric. On the other hand, the fabric wasn't at all difficult to work with—my only issues were with fraying, which is a weave issue,not a fibre issue. Aha! Expensive polyester! I thought it was only here in Japan that poly chiffon is priced approximately 25USD/meter. I can never afford to buy those stuff so I can not tell how it would behave during construction. (I have worked with cheap poly and I could not cut that thing! Or water-wash it!) At that price, adding another 5 dollar, I could buy a meter of Liberty cotton instead. So I don't understand this expensive poly. Is it worth the price? That being said, I'd like my garment, handmade or store-bought, to have a little poly content in it. I can not pass its easy care feature. I think polyester has come a long way since the 70's and there is some nice stuff out there, as you say, especially blends. But I think you need to be able to feel it, I don't think I would risk ordering woven polys online. …and it's cheap. Enough said. I usually avoid polyester, as my personal thermostat is out of whack (I am a Woman of a Certain Age). Don't mind it in small amounts, in blends. Have found a few that I made up for a trip abroad that stayed in my wardrobe when I got home. I have a version of the Sorbetto top that I made using some very cheap fabric off Walthamstow market. It never creases, dries quickly, never needs ironing … I'm guessing it is polyester. It behaves so well and suits the make so well, it gets worn every single week. I think the odd use of polyester is nothing to worry about! I find that polyester can be a bit….stinky. Once sweated in, it forever smells when heated up by, oh, say, wearing it again. I've done all kinds of laundry intervention, but I still find the stinkiness too much to bear. That's enough to make me a fiber snob right there! I prefer natural fiber/fabric. I do use some polyester i.e. polar fleece, but it has 2 big drawbacks. 1. static–I live in a cold climate Alaska and when it's cold out the humidity goes way down or anytime it's clear. 2. Pet hair magnet. Yes, the dog just has to get close to me and it looks like I am wearing the dog the same with the cat. I'm not so much a fan of polyester. Every time I give it a chance, it lets me down. And the sewing experience is usually horrid. I enjoy the scents of steamed wool, linen, hemp, cotton, and silk but the scent of pressing polyester? Barf. I prefer natural fibres all the time, but do agree that, in some cases, a bit of poly actually helps. Having said that I had occasion recently to test a skirt and I used poly – hated every minute of it – now won't even use it for testing – what was I thinking? Interesting post! My associations are from all my groovy 70s thrifted garments I used to wear, and while I loved all of it, most of it pilled (and odored) like crazy. I'm sure it's gotten finer since then… like microfibers and stuff. I'm not opposed but depending on how much poly is in the blend, it definitely needs to breathe for me. Yes, I'm a polyester snob – but I must admit that there are a very few times when it becomes a little endearing. But mostly, it's the feel of the fibre that turns me off – plus the summer factor – wouldn't even think about it for summer. Yes it has it's place, but best blended with other fibres if it has to be used at all …. interesting post!! Oh, I'm a bit of a natural fiber snob. Not that poly doesn't help out in a blend – it does. I just can't stand that it doesn't really breathe, in general. I'm an unashamed natural fibre snob. Though that has been since I moved to a hot & humid climate. Where the plants trigger my asthma and I seem to run hotter as well as the ambient temp. I can't even stand wearing mechanical stretch (woven stretch) cos it feels like wearing a bin liner. When I lived in the UK I happily owned some poly clothing, but not since then. I'd consider trying a minimal poly (say 5%) but that doesn't exist. Rayon/poly,lycra combined is fantastic for pants. It wears well, has great drape, washes and doesn't pill! I'm definitely a polyester snob and avoid it wherever possible. I don't use fabric that's 100% polyester for anything. The static and the unbreathableness of it is what annoys me the most. But I do sometimes buy poly blends, because I like that these fabrics crease less and are easier to maintain and wear. Particularly for skirts and pants (away from my face!) I find polyblends can be useful and are often a cheaper option.